It takes just one bite from a mosquito infected with heartworm larvae to jeopardize your pet’s health and welfare. Heartworm disease is often debilitating and can be fatal if not treated. That’s why the stakes are too high to listen to myths. 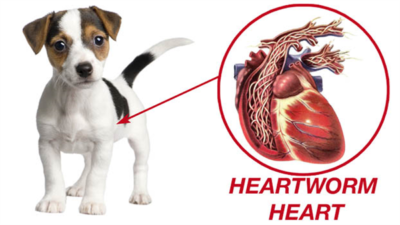 From the American Heartworm Society (AHS), 10 myths about heartworm. If you live in warmer climates, you’re prepared to see mosquitoes, but even in cooler climates, it’s impossible to predict when the last mosquito will appear. Mosquitoes seek out warm, protected places like crawl spaces and decks where they can survive until after the last leaves have fallen. For this reason, the AHS recommends year-round prevention for all pets. Heartworm disease has been reported in all 50 states. Mosquitoes are highly adaptable and will find other places to breed, even during a drought. They can breed and hatch during rainfall, in old tires, birdbaths, tin cans, watered lawns and gardens. Like dogs, cats can develop adult heartworm, but it’s more common for heartworms in cats to die before they reach full maturity. If you’ve ever seen a mosquito flying inside your house, you know that mosquitoes -and heartworms-can find their way inside. It just takes one bite from an infected mosquito to infect your pet. Left untreated, heartworm disease is usually fatal. Heavy worm loads cause irreversible heart damage that leads to heart failure. In addition to a year-round heartworm prevention regimen, the AHS recommends annual testing to ensure the prevention program is working. Experts say that although heartworm preventives are highly effective, nothing works 100 percent of the time. Experts stress that repellants and avoidance should be used in addition to preventives, not instead of them. Herbal and homeopathic preventives do not have proof of effectiveness. Heartworm disease is a year-round threat and preventives work retroactively. An infected animal that is infected one month must receive heartworm preventives in subsequent months in order to be protected. If a dog misses a dose, the dog should be tested six months later. Heartworm disease doesn’t spread like a cold or flu. A mosquito has to bite an infected dog and then bite another dog to transmit the immature worms. It is less expensive to prevent canine heartworm disease than it is to treat it. Monthly prevention will protect you dog and prevent irreversible damage to the heart. 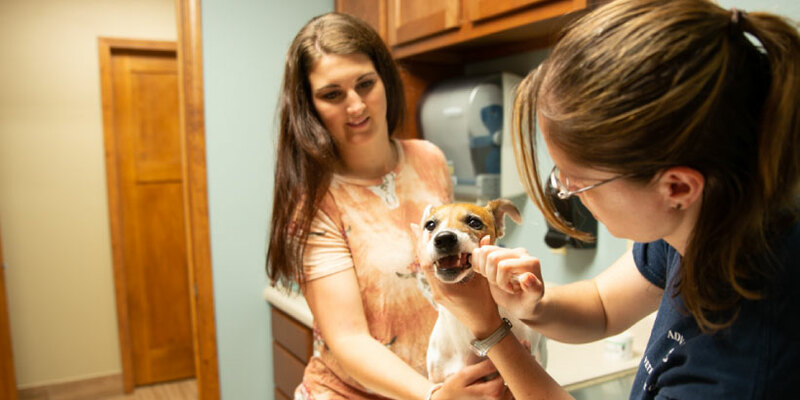 To help with your pets health, Advanced Veterinary Care will do a FREE heartworm test with the purchase of a year supply of heartworm prevention in the month of April. Although the idea of kittens or puppies may seem exciting, there are many, many important benefits to spaying and neutering your pets. 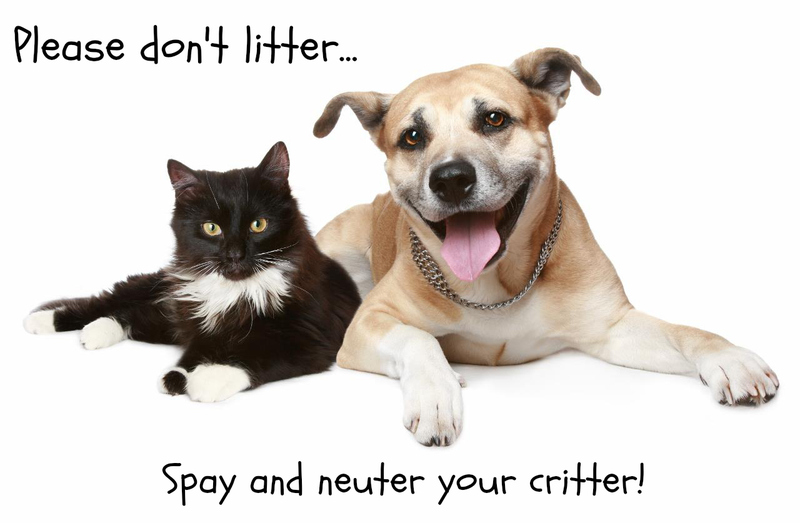 Your pet will be healthier and safer if you spay and neuter them.